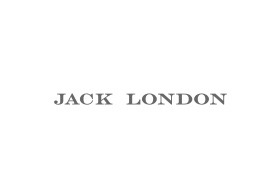 Jack London is a menswear brand based in Melbourne. Clothing is inspired by the British and European Mod Rocker scene of the 1960's. Short suit jackets with narrow lapels and narrow trousers, anorak parkas, short collared shirts worn with slim ties, polos and leather jackets, dressed with winklepicker shoes. The timeless look of the early rolling stones, the knack, blondie, the strokes: Jack London's signature look of rock and roll attitude mixed with classic tailoring has become synonymous with the brand.